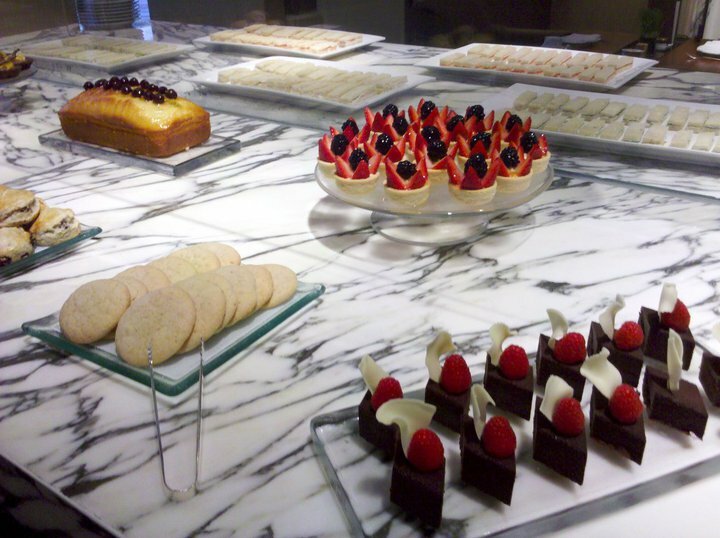 Park Hyatt Washington’s Tea Table is available on Saturday and Sunday afternoons, from 2:30 pm to 4:30 pm. 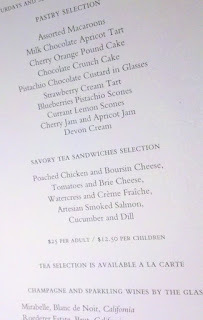 To make a reservation for afternoon tea please call +1 202 419 6620 or visit www.parkhyattwashington.com. I heard about the Park Hyatt Washington’s Tea Cellar – and went with my grade school friends in September 2010. We were having a gathering. We sat in a glass enclosed area which was great for chattering while we ate without interrupting or being interrupted. 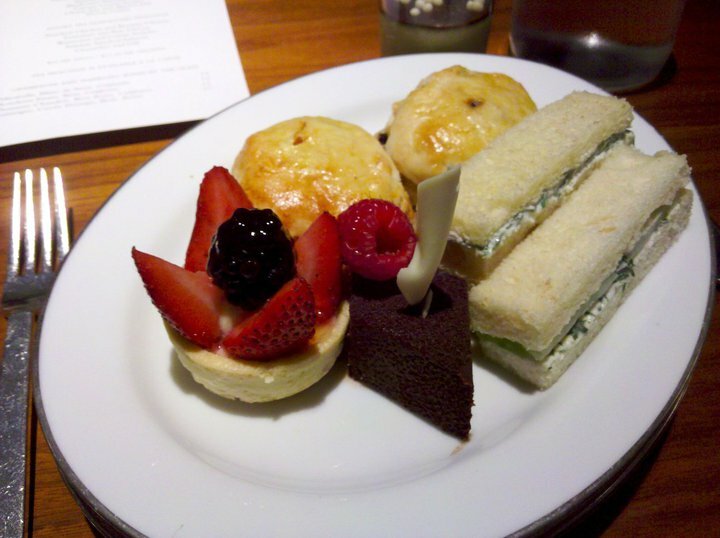 There were many tea assorted sandwiches on bread, and an assortment of sweets. For a fixed price you could eat as many sandwiches and sweets from the buffet as you like, and get a pot of tea to share. I remember enjoying the sandwiches and sweets alike. I had issue with the teapots. Which I will get into more later. But suffice it to say it was a lovely time with friends, but disappointing that they were out of macrons. 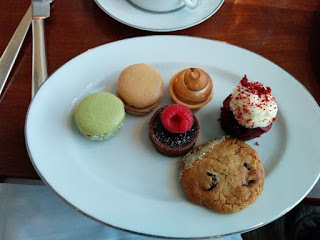 A nice tea service but not so remarkable I would recommend it or greatly desire to go back. 2015 – I hear they have re-launched and have a tea specialist Christian Eck, so I decide to try again. I told a friend about it, and he took his wife a few weeks before we went. They unfortunately had a bad experience. The complaints he had were that when they went the buffet price didn’t include tea, and they were charged extra. 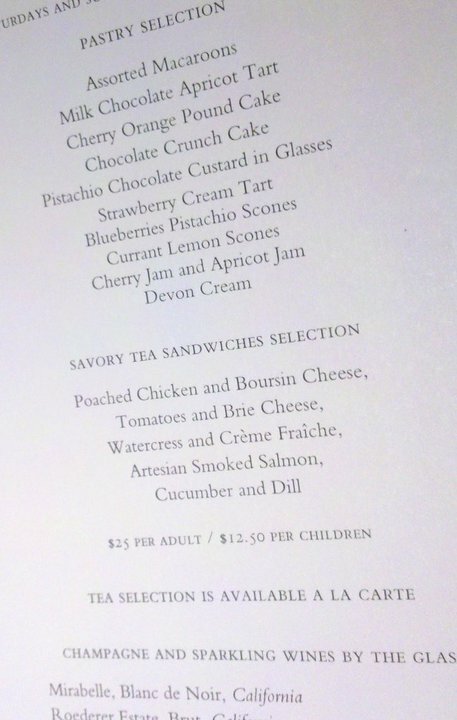 When we attended together a few weeks later we were informed tea up to 12$ was included after that we had to pay. I wonder what went wrong with that during his visit? 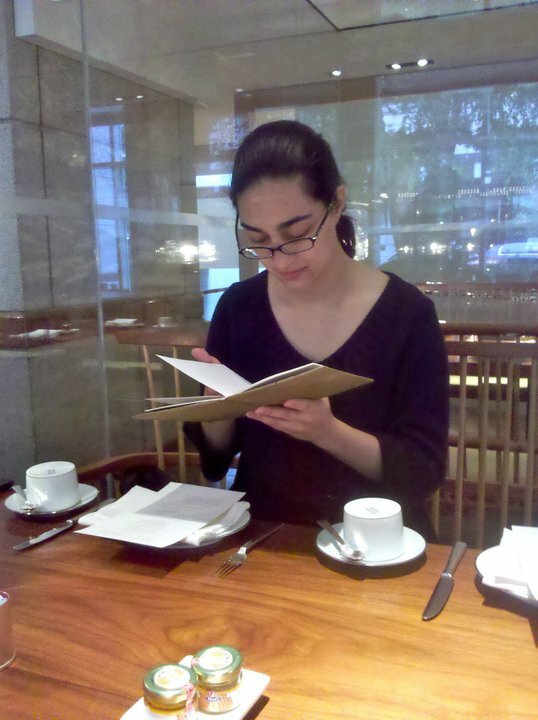 He also indicated they had poor service in general, two examples being they had to stack plates as they were not cleared between buffet trips, and they were not offered water for a resteep of their puerh. Well then he and I get our chance to go – a Saturday afternoon in December. 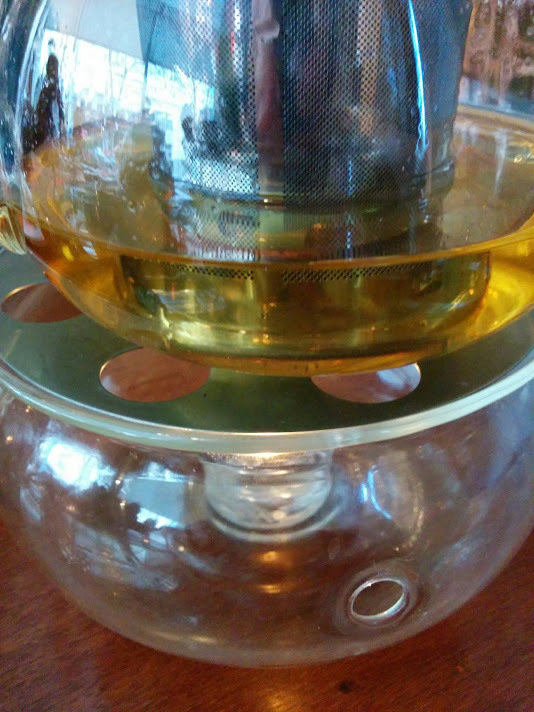 We got an Freak of Nature Oolong, Barrel Aged Lapsang Souchong. 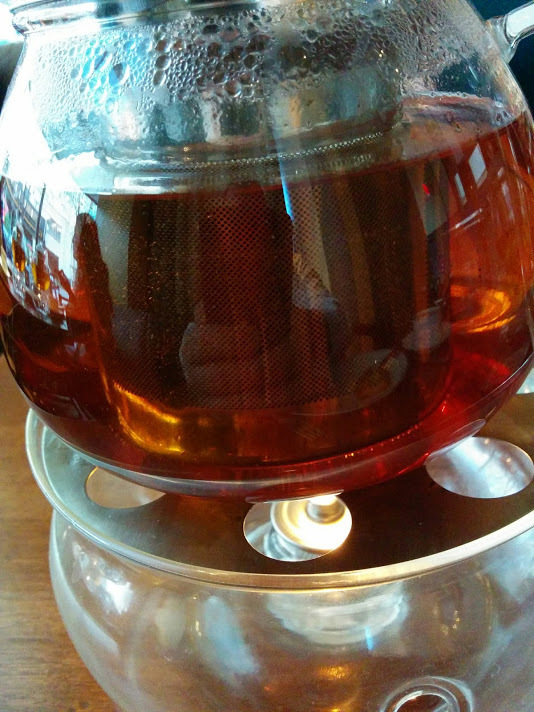 The Freak of Nature tasted like a typical Wuyi oolong – but I didn’t have much control over the steeping. The Lapsang Souchong had nice caramel and woody notes from the barrel to finish and was a fun thing to have, I recommend it. We tried a resteep of each, luckily this time we were offered more water unlike his prior visit with the puerh. The lapsang did resteep but lost the barrel aged qualities. The oolong opened up nicely, still smooth, more floral. The oolong could certainly have had more steeps but we had other things we had to get to. They indicate they have some very special teas. I own a tea company so perhaps I am biased but I didn’t see much unusual in the tea menu beside some assorted older purerh. There were single origin (from a single estate), aged in barrels, aged in fruits, and other things that are fairly common in the tea world currently. The preparations of the tea is lacking, and even if they use nice teas I bet people don’t fully get to experience or enjoy them! 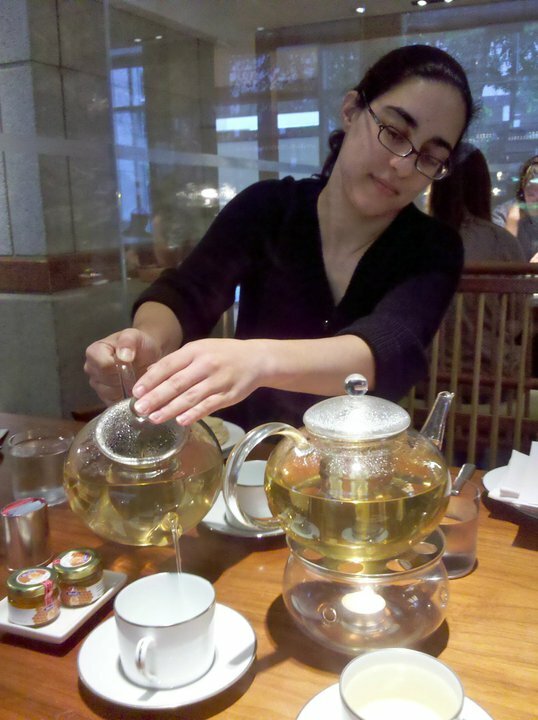 Specifically they do not seem to measure, by weight, the proper amount of leaves for the teapots. 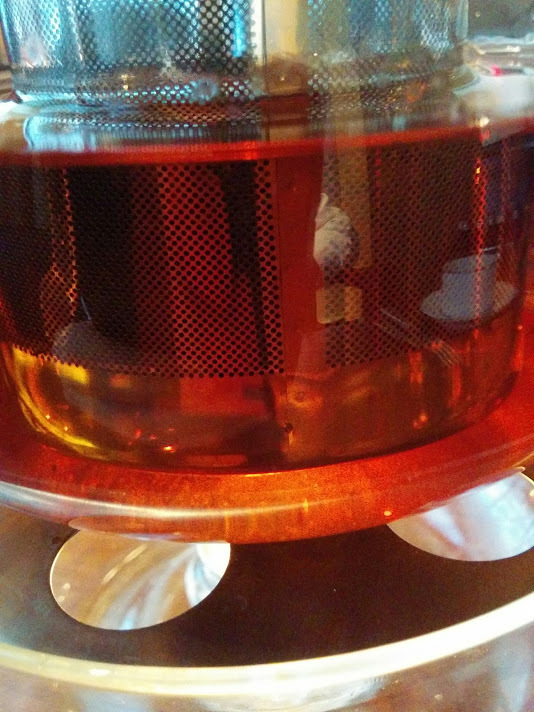 My friend and his wife indicated there was very, very little puerh. On our trip there was way too much oolong, and about the right amount of lapsang souchong. All the water seemed equally hot, I would have expected cooler water for the oolong. I fear what would happen if I ordered a white. In addition they bring the tea to the table, after and unknown steep time, with no way to remove the basket, and nothing to put it on if you did. This resulted in an over steeped lapsang. I would think, to best handle guests of all levels, they might want to steep the tea the proper temperature, and time, and leaves then remove the basket and bring both to the table and explain the leaves can be made into a second pot of tea when they are ready. This would educate and make it such that each tea was prepared well and could be enjoyed without extra tannins. I understand the aesthetic of the glass teapots, although not ideal for all teas look nice and could settle for that since they offer tea warmers – if we could better steep the tea initially and were just trying to keep it warm. 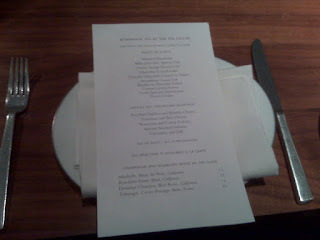 The presentation of the foods was nicer than the 2010 visit, and still the same approximate number of selections. An adequate amount I believe. The savories are now assorted instead of all white bread sandwiches. 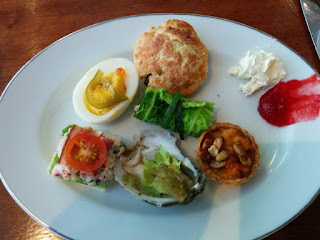 They are tasty but skew heavily to seafood which left one poor guest with only two options of savory to eat. I believe when we went it was lobster sandwiches, oysters, pumpkin quiche, chicken wraps and deviled eggs (which one waitstaff seemed to indicate had seafood in it). The sweets had two kind of scones, red velvet cupcakes (which were very dry), very boring cookies (two kinds), tasty macrons (assorted flavors), some kind of lemon merange tart, a chocolate raspberry mousse cup, and there may have been something else I missed. 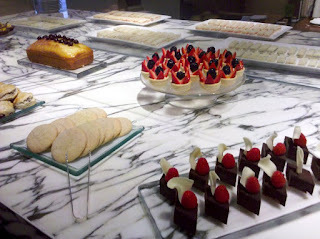 On the whole I most enjoyed the mousse and macrons. If I had not seen the bit about the tea specialist, I would have been pleased by the improvements. However I got my hopes up. Overall it was a nice afternoon out with my friend, an improvement on the buffet since 2010, but still disappointing tea preparation.